Through the SBV Pilot, small businesses can access PNNL expertise in energy efficient lighting including evaluating new products in the Lighting Metrology Laboratory. 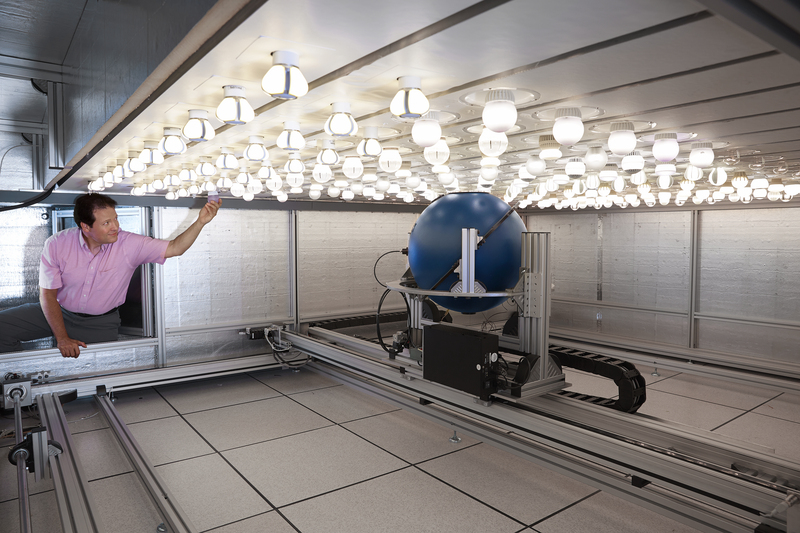 There, researchers evaluate photometric and photoelectric properties and long-term performance, as well as stress-testing. 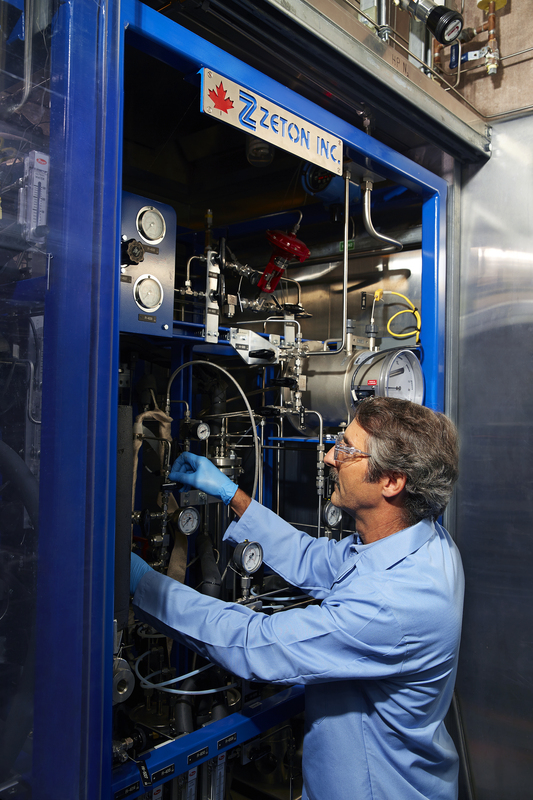 Small businesses focused on clean technology may be interested in technical assistance related to a variety of Laboratory research including converting biofuels research. PNNL chemists and other researchers are developing processes to convert plants and other living organisms as cost-effective and clean alternatives for crude oil. Small businesses in the clean energy sector are invited to apply for assistance from the Department of Energy's national laboratories through the department's new Small Business Vouchers Pilot. David Danielson, DOE Assistant Secretary for Energy Efficiency and Renewable Energy, announced the launch of the pilot website during EERE's Industry Day event at Oak Ridge National Laboratory. "Small businesses that are developing the new clean energy technologies that are needed to cut carbon pollution and create good-paying American jobs often lack the resources necessary to move their innovative ideas from the laboratory bench to the marketplace," Danielson said. "The EERE Small Business Vouchers pilot is designed specifically to help small businesses bring next-generation clean energy technologies to the market faster by leveraging the world-class capabilities of our national laboratories to solve small businesses' most pressing challenges." As part of EERE's National Laboratory Impact Initiative, the pilot aims to help small businesses bring next-generation clean energy technologies to the market faster by enabling them to access expertise and specialized equipment at DOE's national labs. The $20 million pilot will match clean energy small businesses with experts from DOE's Lawrence Berkeley National Laboratory, National Renewable Energy Laboratory, Oak Ridge National Laboratory, Pacific Northwest National Laboratory and Sandia National Laboratories, as well as other participating DOE labs. More than 100 small businesses selected through the pilot's merit review process will receive $50,000 to $300,000 vouchers to exchange for national lab technical assistance or initiate collaborative research projects. The assistance will focus on a specific technical challenge identified by the small business. The pilot focuses on assisting small businesses developing technologies in the following areas: advanced manufacturing, buildings, vehicles, wind, water power, bioenergy, fuel cells, geothermal and solar. To be eligible to apply, businesses must be U.S.-based and -owned with no more than 500 full-time employees worldwide. A total of three cycles of competitions will be offered to interested small businesses in 2015 and 2016. Businesses are invited to apply at the Small Business Vouchers Pilot website.